ACI Services has announced a partnership with Kerr Engineered Sales Co. to promote ACI compressor products and solutions throughout Virginia, West Virginia, Ohio, Maryland, Pennsylvania, New York, Delaware, New Jersey, and New England, USA. Headquartered in Pittsburgh, Pennsylvania, USA, Kerr Engineered Sales provides sales and service for manufacturers and service providers of industrial, manufacturing, gas, and pipeline solutions. Headquartered in Cambridge, Ohio, USA, ACI Services provides engineered compressor products and services to a worldwide marked. 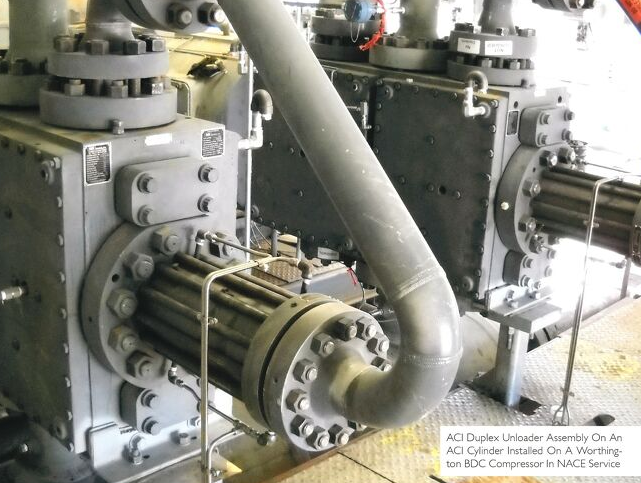 The company specializes in custom compressor cylinders and unloaders and interactive performance software (See “Compressor Modeling,” September 2018 Gas Compression Magazine, p. 10), as well as performance-enhanced compressor components such as pistons, rods, liners, and custom valves.